Do you trust yourself alone and ignore other people’s viewpoints? Do you regard yourself as someone who knows everything and selfishly push aside other thoughts that aren’t yours? Well, you sound like Ego Urbano’s popular trait of being an egocentric. Want to know more about him? Can you give him a picture of what he is and make him accept it? It’s pretty hard I guess, because egocentrics focus on their own world. But will you give it a try? 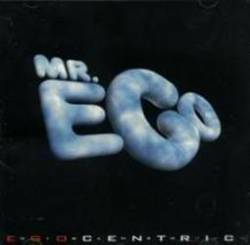 This blog will take you to Ego Urbano’s egocentric secrets and why such personality can destroy relationships. But, let us try to see what Ego Urbano has to say about it and let us make him reveal more about his egocentrism. This blog will help you understand on how to adjust with people like Ego Urbano. If you can relate with him, then your secrets are much welcome to this blog. Let us unravel the secrets of Ego Urbano and see for yourself if you feel the same way. Discover more about him and make the right move!